Clarksville, TN – Austin Peay State University announced the 2018 APSU Homecoming Court and crowned Homecoming King and Queen during halftime at the APSU Governors football game against Tennessee Tech at Fortera Stadium this past Saturday, October 27th. 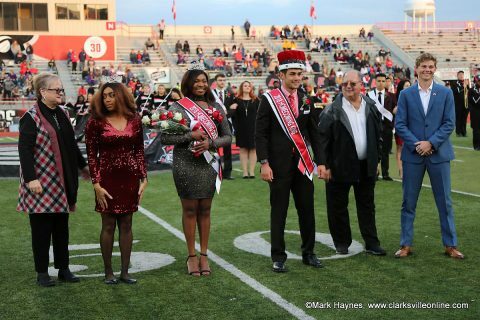 LaQuandra McGhee a senior Social Work major was crowned Homecoming Queen. McGhee from Antioch Tennessee was sponsored by Kappa Alpha Psi, NPHC, SODA. Business Accounting major Jake Bumpus from Ashland City Tennessee crowned Homecoming King. Bumpus was sponsored by Chi Omega Women’s Fraternity. 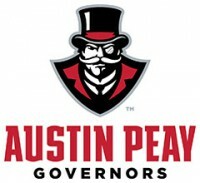 LaQuandra McGhee was crowned Austin Peay State University Homecoming Queen and Jake Bumpus was crowned King Saturday at the APSU Football game against Tennessee Tech.